The first Tribesmen head, held in Lough Rynne instead of on the Corrib, had been rescheduled due to bad weather. 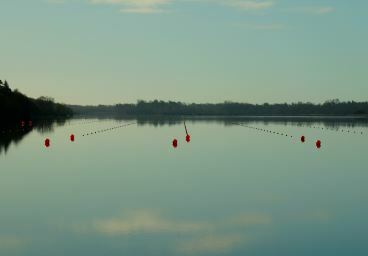 The new date provided near ideal rowing conditions, with the lake looking like glass until shortly before racing began, when a very light breeze began to ripple its surface. It remained dry for the entire day, until a heavy shower hit for the last 10 minutes of racing. Numbers were down on the bookings for the original event - largely due to the Kerry Head being scheduled for the same day (which was later cancelled, due to bad weather, but too late for people to register for this head instead). It was an exceptionally well-run head, with none of the usual clutter visible on the slipway and noticeably quicker slipping times. Lietrim county council have invested in the venue since last year, resulting in good parking at the venue (no more bus transfers) and new platfoms at the course start and finish lines. 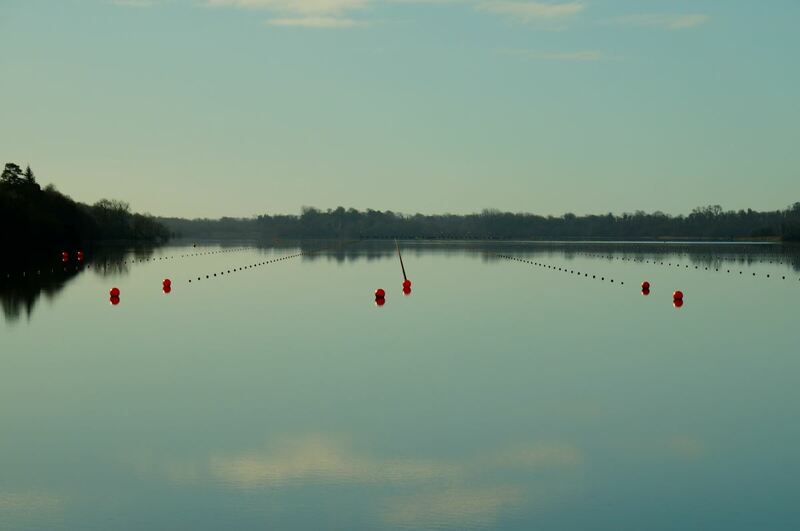 And plans to add a cycle route around the lake and a viewing tower will, when completed, easily make Lough Rynne the best venue for rowing events in Ireland. CIRC's Womens J18A 8+ was uncontested and completed the 5.5K course in 22 minutes, 45 seconds. The Jes Mens J16 8+ was also uncontested and crossed the finish line after 19 minutes, 50 seconds. This was the fastest 8 on the water that day, even taking the adjustments for masters' times into account. Our Womens J16 Coxed Quad, crewed by Emma Ryder, Kate Hume, Amy O'Gorman, Lanah Acton and Rachel Dempsey (cox), comfortably fended off three other crews, winning with 1 minute, 28 seconds to spare with their time of 24 mins, 51 secs. 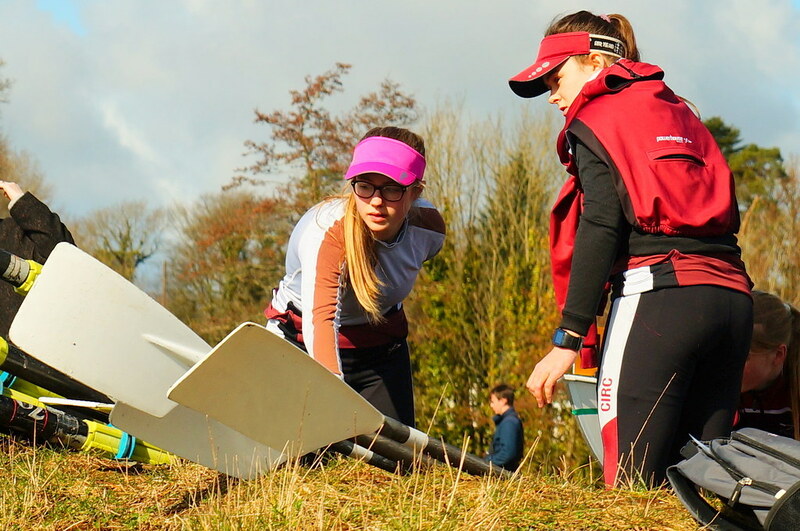 CIRC's Junior 14 girls' Oct was our third crew to be uncontested in this event, crossing the line in an impressive time of 30 mins, 38 secs. The Junior 14 boys' Octs were 1st and 2nd in their category, with the 'B' Oct completing the course in 32 mins, 12 secs and the 'A' crew taking 29 seconds longer. The Jes's Junior male sculler, Mark Ryder, more familiar with racing 6k and 2k distances, finished his race with energy to spare. Despite this, he beat the 6 other MJ18A single scullers, finishing 21 secs ahead of 2nd place and 4mins 55 secs ahead of 6th. His impressive time of 23 mins, 5 secs was also faster than our winning J14 Octs and WJ16 Quad - and only 20 seconds behind our womens' junior 8. The CIRC Mens J18A 2 was pipped by 9 seconds by Colaiste na Coirribe, relegating their time of 22 minutes, 3 seconds to 2nd place. In the Mens J18A 4X- category, the Jes A crew clocked a time of 19 mins, 42 secs to get 3rd place, 34 seconds behind the winners (Neptune A) and only 12 seconds behind second place (Neptune B). Our Mens J16 2X completed the course in 23 mins, 39 secs to earn 3rd place. Their time put them 2 mins, 20 secs behind the winners, Sligo; 28 secs behind Colaiste na Coirribe; and 2 mins, 9 secs ahead of City of Derry.